What do you think you have to give up or will lose in order to grow your business – or achieve any other kind of goal? Most people believe there is always a price to pay if you want to have more impact, reach more people and make more money. 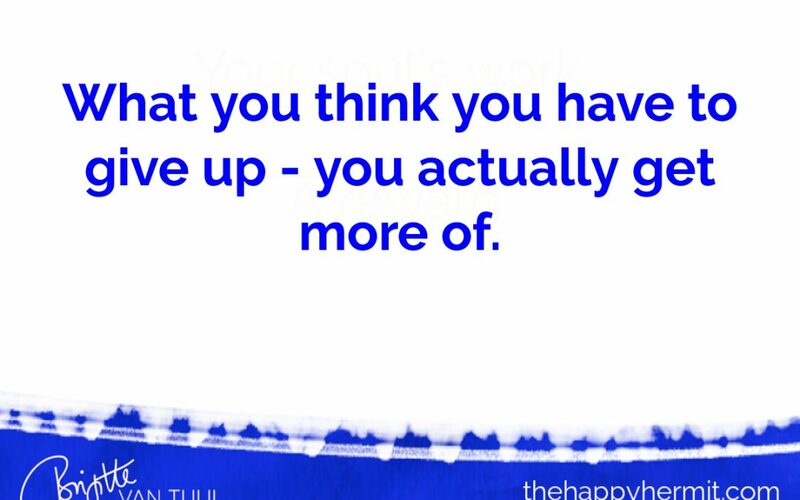 And when you’re not prepared to give that up, you won’t be able to reach your goal or manifest your dream. But what if….the thing you’re afraid you will lose is the EXACT thing you’ll get MORE of? It’s not only possible – but even very likely! Watch this Facebook Live where I share what I learned about my recent lifestyle change, how that applies to my business – and how it applies to YOU, too!